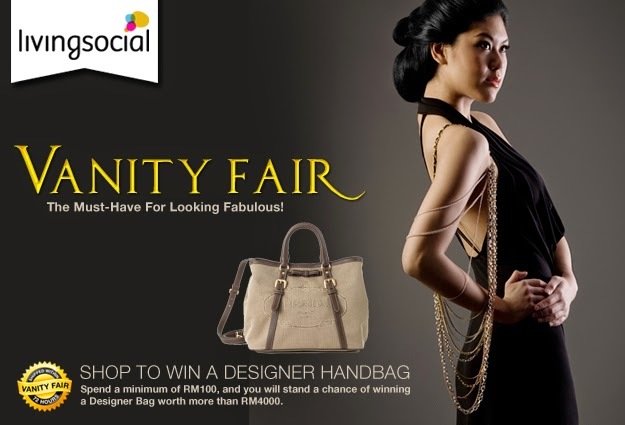 Vanity Fair Campaign by LivingSocial and MyDEAL Malaysia! by Mydeal Sdn Bhd and LivingSocial Malaysia! Mydeal Sdn Bhd and LivingSocial Malaysia, main two leading E-Commerce players in Malaysia will join forces to reward loyal 1.5 million customers and subscribers throughout their platform for 16th June 2014 until 6th July 2014. 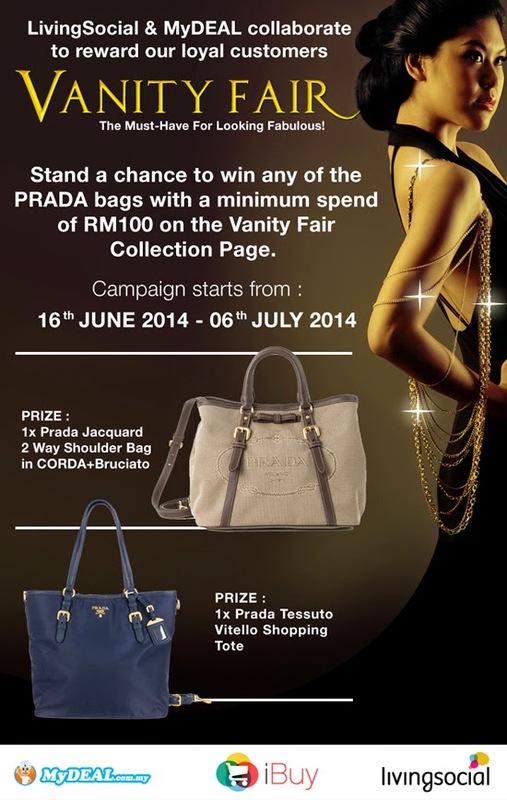 They will be giving away ONE Prada bag to one lucky member who purchase a minimum spend of RM 100.00 on theVanity Fair collection page that is worth more than RM 8,000. One lucky customer from LivingSocial and MyDeal will be announced as the winner via Facebook and email on the 7th July 2014. “We are rewarding Prada bags as sweepstakes to our customers as a token of appreciation for their support and patience over the last few months. To everyone who made this business possible, a big thank you!. We sincerely hope to see more of our customers register for a chance to win these exciting gifts!” said Mahesh Indru, Managing Director of iBuy Malaysia. 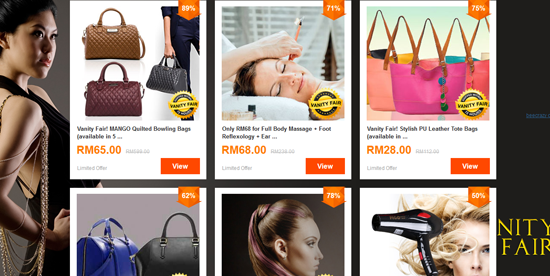 Please visit the Mydeal website at http://bit.ly/1wlVsDa when you interested to win awesome prizes, especially A DESIGNER HANDBAG worth RM 4000! What are you waiting for? Come to shopping there!